In life, Roechelle Cox reigned supreme over the two narrow checkout lanes at Zara’s Lil’ Giant Supermarket in Uptown, New Orleans. Customers were drawn to her masterful, everyday patter, conducted in a big, cheerful voice with Zara’s regulars who visit often for po’boy sandwiches, fresh shrimp, and crisp produce. 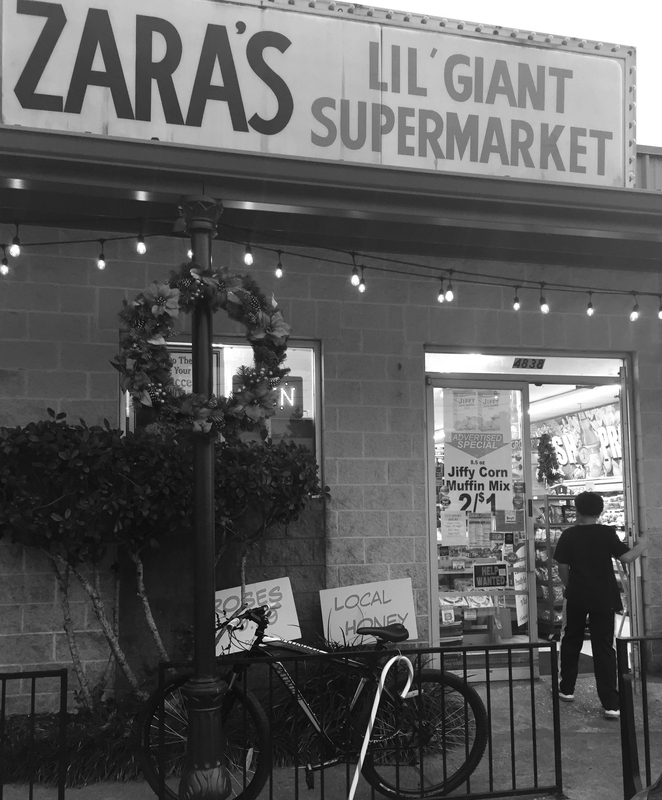 Albert Zara’s family has sold groceries in New Orleans for three generations—employing countless checkout clerks. But he couldn’t explain exactly why his customers took to Cox so quickly. He didn’t know her very well. What mattered was that she was a good worker who was always on time, always pleasant. He doesn’t remember Cox ever missing a day of work. And he will never forget the day he learned that Cox had listed him as her emergency contact. Cox left her job at Zara’s early last year when she was offered better benefits at the CVS drugstore just across Prytania Street. Her fan base barely changed there—most everyone around this part of Uptown shops at both places. She did too, often with Lillie, her pug-beagle. On the Friday before the July Fourth weekend, Cox stopped at Zara’s to pick up something for dinner, Lillie in tow. Since she usually worked days at CVS, it was a rare midday, off-the-clock visit. She said she’d taken off work for a doctor’s appointment. “She didn’t look frail or sick,” Zara said. It now seems that her former co-workers were the last to see her alive. A few days later, the CVS manager looked at Cox’s emergency-contact form and called Zara. Cox hadn’t come to work that weekend. “Just her missing one day, we knew something was wrong,” said Jermania Rodriguez, an assistant manager at CVS. Rodriguez eventually went to Cox’s apartment on Milan Street and convinced a maintenance man to open the door. They found her inside. A coroner’s autopsy determined she’d suffered a heart attack. For her community, Cox’s death was sad, but not necessarily shocking. People die suddenly, especially in a city where 40 percent of people live in poverty and must stint on healthcare. No one heard anything about funeral arrangements. But since Cox had moved from out of town shortly before she began work at Zara’s, people assumed that her family had taken her away, given her a proper burial elsewhere. Then in September, Zara got another call, this time from the coroner. Cox’s body still lay in the city morgue, unclaimed for three months. The community’s shock set in. They couldn’t reconcile Cox’s bubbly public persona with a private life so solitary. Though I live in downtown New Orleans, outside of Zara’s sphere of influence, I first heard Roechelle Cox’s story from neighbors who wanted me to know about the GoFundMe campaign started for her funeral expenses. Since I often write about tragedy in the city, they reached out to me to see if I would write a quick daily-paper article that would boost contributions to the campaign. But once I asked a few questions, I found that I wanted to write more about the double life Cox seemingly led. So, if I ran into someone who lived in Uptown, I’d ask about her. Long conversations aren’t rare in New Orleans, a place where it’s considered bad manners to walk past another person without verbally acknowledging them. But a mere mention of Cox’s name could spur a passionate, 15-minute response. Having lived here for 17 years, I’d say the city’s conversational bedrock is self-revelation. During the holidays, when Louisiana’s governor didn’t eat on a visit to a landmark New Orleans restaurant, he told reporters from the New Orleans Advocate that he was scheduled for a colonoscopy the following day. I can promise you that, as soon as the governor shared that detail, someone shared a colonoscopy story with him in return. That’s how the process works. Thomas Ketchens at Zara's deli counter. For some newcomers, this spontaneous conversation can seem unnatural. “In New Orleans, when you sneeze on the street, someone says, ‘Bless you,’” said Olivia Markwalder, 24, a Zara’s employee who grew up in Queens, New York where people might at the very most nod at a familiar face on the subway. When Markwalder was hired at Zara’s, she found herself immersed. At Zara’s, when it was Cox’s turn to share, maybe she became deft at searching for the Windex for her scanner or running to the back to get bananas. If so, no one remembers it that way. Somehow, she didn’t come off as reclusive, customers told me. Only later, when they plumbed their memories, did they realize that, despite hundreds of conversations, they knew almost nothing about Cox. They didn’t know who was important to her, where she’d grown up, or even why she’d moved to New Orleans. In death, she became a sphinx. Zara’s, her voice became part of the store’s atmosphere, something that lingered in the air along with the aroma of rotisserie chicken, roasted eggplant, and fried catfish floating from the store’s legendary deli. In Cox, Albert Zara saw echoes of a previous store icon, butcher Sam Costanza, Jr., who died a decade ago after working for the Zara family for more than 20 years. “Sam knew everyone who came in, their kids’ names, and what schools they went to,” said Zara, pointing to Costanza’s obituary, which is taped to the wall above his desk. Zara thought he’d never have an employee as beloved as Costanza. Then Cox arrived. “She basically took it to the next level,” Zara said. “Everybody loved her.” She knew all the regular customers, kissed their children, and went wild about their dogs, which she always knew by name, even when their owners’ names escaped her. She’d follow retired social-service director Marguerite Redwine, 75, to the car to pet Redwine’s greyhound, Gus, and give him a kiss. Despite the move to CVS, Cox remained the same. She still made a fuss about all the dogs and seemed to keep a mental catalogue of past purchases. As one customer carried yet another handful of lipstick tubes to the counter, Cox rolled her eyes. “Girl, you only have two lips,” she said with a big laugh. As author Stephanie Bruno struggled to scan items at the CVS self-checkout, Cox stepped in. “Aw, c’mon girl, let me help you,” she’d said in that big voice. “Roechelle was so non-mechanical, so genuine,” Bruno said. But in September, the coroner told Zara that they had been unable to locate any next of kin. If her body wasn’t claimed by December, it would be one of the 40 or 45 unclaimed bodies that the coroner buries three times a year in mass, unmarked graves in a potter’s field. Rattled, Zara stopped at a funeral home, where he discovered that the process was both expensive and complicated. Overwhelmed, he stepped back and let Zara’s customers take over. Over the next month, armed with the GoFundMe account and a pro bono attorney, McDaniel, Bruno, and two other neighbors filed for a court order allowing them to cremate Cox’s remains. They scheduled a memorial service for early December and placed an official obituary in the newspaper, using the only photo they could find: a blurry image that Bruno found emblematic, given the situation. Despite being her emergency contact, Zara knew very little about Cox. He’d given her a ride home once, to an apartment next door to St. George’s Episcopal Church, about three blocks from New Orleans’ grandest street, St. Charles Avenue. She’d told him that she was an only child and had moved from Colorado after her mother had died. But she didn’t tell him why she’d moved to New Orleans. That’s unusual. Oftentimes, transplants to New Orleans are apostles for some aspect of the city: its music, food, costuming. As Zara stood in the back of the store, trying to remember any relevant snippet of conversation with Cox, Kenny Green passed by with a load of fresh fruit from the cooler. “She sometimes would walk over to the parades because of where she lived, near the St. Charles parade route,” said Green, who said that Cox most often talked with him about the antics of her puppy. The two might also talk about food and recipes, depending on what the store had in stock. And every so often, she’d critique a song that was playing on the radio, said Green, who thought it odd, now, that no close friend had ever visited her in the store. Fran Bertholette, 71, who has worked on and off at the store for 16 years, recalled a brief introductory exchange when Cox was first hired. “She told me she’d moved here from Colorado and that she had a son,” she said. No one else in the store had heard that detail. Tolbert especially wondered why she’d moved here. Had New Orleans played some role in her life or had she just come here to make a fresh start? I began searching through library databases and press clips for some sense of Cox’s life. I knew that Bruno, hoping to find evidence of a loved one, had talked to Cox’s landlord and found out that the apartment and all possessions had been discarded soon after the monthly rent went unpaid. But after a search, a larger picture did emerge. In Colorado, Cox had lived with her mother, Donna Cox Glackman, who died in 2010. Like her daughter, Glackman barely shows up on Google searches and is absent from social media. But she is mentioned in the 2001 obituary of her father, John Stratton Page, a geophysicist for Mobil Oil. Other family obituaries from that era note that Page lived in New Orleans until 1974 and that he had four grandchildren, including Roechelle Cox. To me, it was odd that Cox had never mentioned a New Orleans connection to anyone. I began imagining that in the pile of discarded possessions that had sat at a curb outside of Cox’s apartment there had been an envelope with yellowed return address label sent from a nearby block. It seemed like a dead end. Then I found a short social-page notice, published in early 1963 in a Corpus Christi newspaper. In it, Mr. and Mrs. John Stratton Page announced the engagement of their daughter, Donna Marie, to Allen Nelson Cox. A wedding was scheduled for August of that year in the chapel at the nearby Naval Air Station. There was no record of Cox’s 1965 birth in the Texas Vital Records digital archive; an archivist suggested that it might be housed in a military base’s archives. But Texas Vital Records show that the couple divorced in June 1969 in Beesville, Texas, another Navy-base town. Here, in the divorce record, finally, there is an official mention of Roechelle Cox. Under “number of children under 18,” the record shows one. My searches also showed that her father, an accomplished crew chief for missions that explored Antarctica in the mid-1960s, has an icy peak, Mount Cox, named for him. But I couldn’t find an obituary. Instead, public records showed that Allen N. Cox, a retired pilot in his late seventies, was still alive and residing in southern California. He recounted his daughter’s life, or at least what he knew of it. When she was in elementary school, she and her mother had lived in Shreveport, Louisiana, a place he would visit as often as he could, using the naval base there as a home base. Then, in the early 1970s, he had flown her and her mother to meet him in New Jersey, where his father lived. “I must say, Donna was a beautiful woman and we were friendly after we first divorced,” he said. But she’d wanted him to leave the Navy and he’d liked his life in the sky. They’d split as a result. After the trip east, Donna and Roechelle vanished. He never was in touch with Donna again. When Roechelle was a teenager, he tracked her down through Donna’s father, who gave him a phone number in Shawnee Mission, Kansas. He had liked Donna’s family. Even years after the divorce, when he was stationed in Corpus Christi, he would go fishing with Donna’s brother, he said. But Donna had distanced herself from everyone. “I’m afraid that rubbed off on Roechelle,” he said. About ten years ago, he’d flown Cox to see him, a trip she refused to tell her mother about. The two, father and daughter, traveled to San Diego and San Francisco and rode by train to see the Grand Canyon. He said he still keeps photos from that trip on his fireplace mantel. Along the way, she told him bits and pieces about her jobs in Colorado, first as a bursar at a college and then working for child-protective services, which she found very stressful. She mentioned that she had been in love and it hadn’t worked out. But, overall, she was pretty tight-lipped. So, if she did have a son, she might’ve never told him. He rambled through story after story, his voice strained. “Forgive me,” he said. “As you can tell, it upsets me to hear this news. And it hurts me that she didn’t think enough of me to list me as her next of kin.” He included her on all of his legal paperwork. He exhaled deeply and thought back a time when his daughter was a happy, tow-headed toddler who squealed with joy at the dachshund puppies the family had kept as pets. It’s odd, he said. Over the past few months, he had been thinking quite often of Roechelle, wondering how she was. “I guess that shows that, even if you’re estranged, you’re in contact through your heart,” he said. He stammered then became silent for what seemed like a long time. Then, in a wavering voice, he asked about her memorial service. He wished he’d been there. On an overcast Saturday in early December, the Rev. Richard Easterling, who knew Cox from Zara’s and CVS, opened up the grand doors of St. George’s for her funeral, which was attended by a few dozen people. The church’s marble altar was lush with flowers, including a bouquet of white, green-edged roses from Zara’s. Thinking about the service, I find myself wondering about Roechelle, who had given so much of her heart to dogs and strangers. After spending a life estranged from family, had Roechelle, with her sunny ways, traveled to New Orleans out of some loyalty to those roots? Should I see it as triumph or tragedy that after a life spent without family, she was lovingly laid to rest by other strangers? After the service, a curious little procession left St. George’s grand Tudor edifice that day. Easterling, his white robe billowing in the breeze, accompanied ten of the most stalwart mourners and Gus the greyhound, as they walked a dozen blocks from St. George’s to the Mississippi River levee. There, as McDaniel scattered ashes, each of the mourners said a few words about their beloved, enigmatic cashier and tossed a white Zara’s rose into the river.